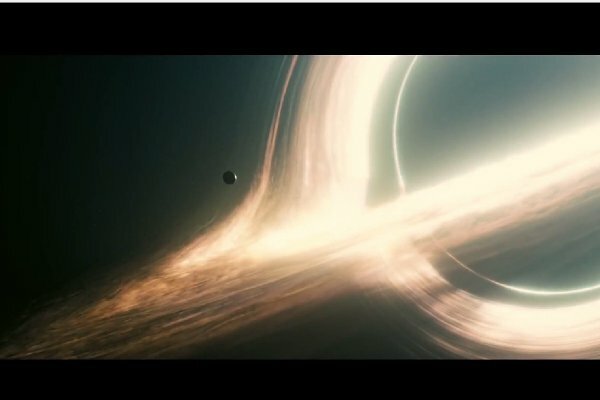 Interstellar has dropped it's fourth, and possibly final trailer today. It's an absolutely gorgeous affair, but there are moments that have us wondering just what's going on in the movie as a whole. While Christopher Nolan isn't the type to give away the whole bloody movie in one trailer, this has to be his most cryptic marketing campaign yet. Considering his past track record, this is an impressive feat that shows us just how wrong we are when we think we can call all of Nolan's tricks from the off. 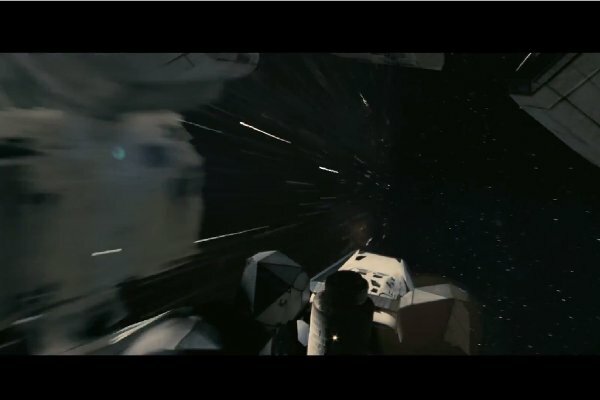 Here now are ten images from the latest Interstellar trailer that have us looking at the screen with the biggest "WTF" face we can muster. What is that walking robotic helper following Matthew McConaughey? 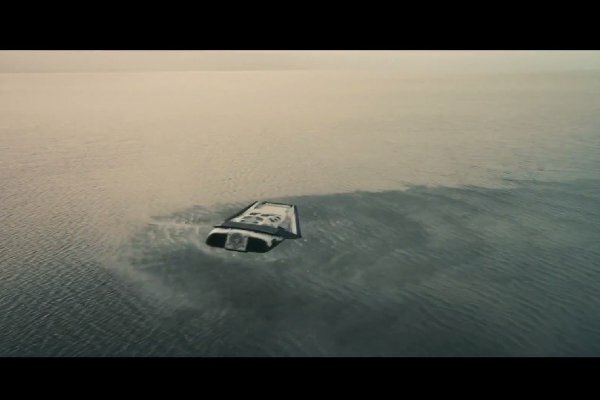 They seem to have hinted towards it in the previous trailers, but what does the name "TARS" stand for? 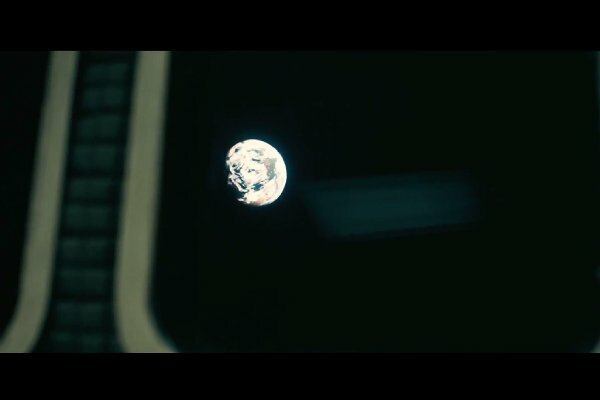 Our guess: "Terrain Assistance Robotic Service"
This is a visual that should not be Earthly possible, but seeing as Interstellar is not of this Earth, that explains part of this image. How the hell is this possible? Right from the beginning of the trailer, the world looks worse off in this trailer than any other. Take a look at the water, and then look at the land surrounding it. This looks like it used to be a lake of some sort. 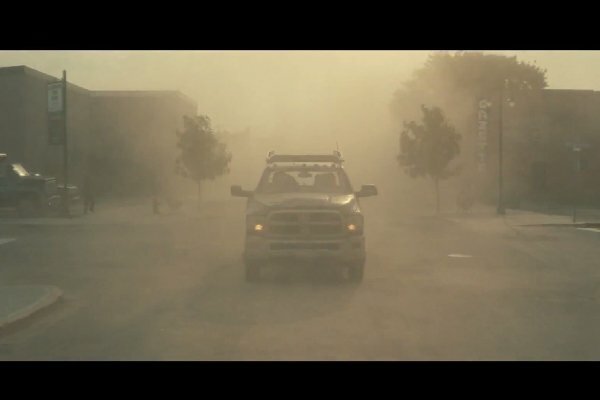 We've seen dust storms featured in other trailers, that much is true. Still, seeing them up close like this causes the visual to hit a little closer to home. Not even Main Street, USA is spared by Mother Nature. Possibly the most dire sign of the environment's state in this trailer is the fact that you can see the clear patches of dead, desertificated sections of the world. Possibly the most stark view of our planet yet. No matter how many times they show us the crossover event between our corner of the stars and the next, it never gets old. Matter looks like it's warping, space gets weird, and then boom! We're there. 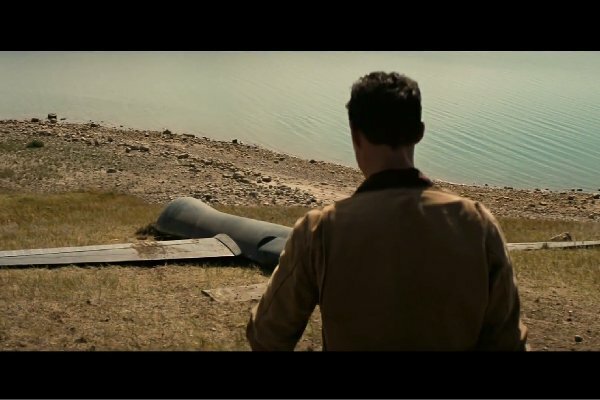 One of the coolest things about Interstellar is that it looks to be knee deep in hard science fiction, meaning the realm of the possible. This ship design looks like one of the most aerodynamic ships ever created. A little more visual trickery is at play in this frame, as it looks like there's a clear coastline that can be reached in the distance. 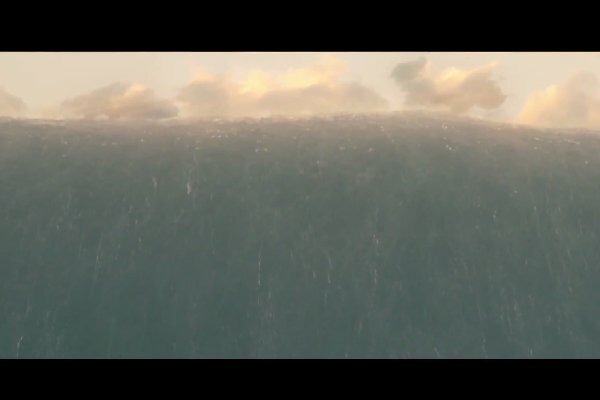 Turns out that's just a dirty lie, as it's actually a wave that looks at home in the alternate ending of The Abyss. 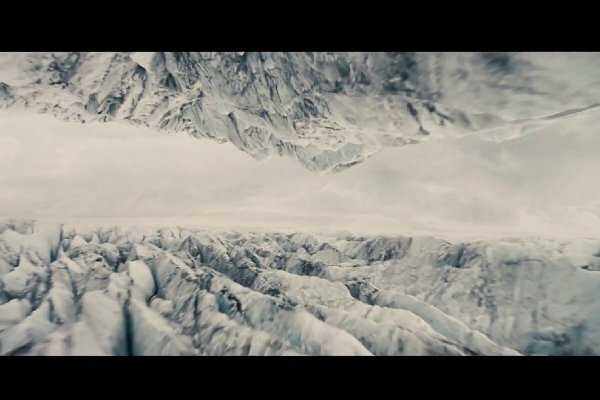 Again, this image crops up almost every single time they trot out a trailer for Interstellar. And every single time, it dares you to ask, "What are you?" 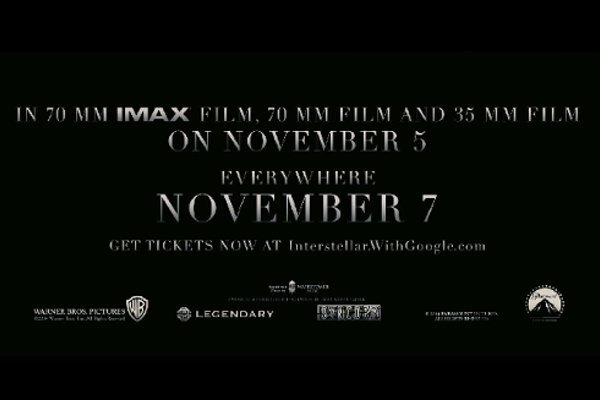 Probably the weirdest thing about this trailer is the fact that Google is selling movie tickets now. Why not Fandango, guys? Does Google take my AMC Stubs points? 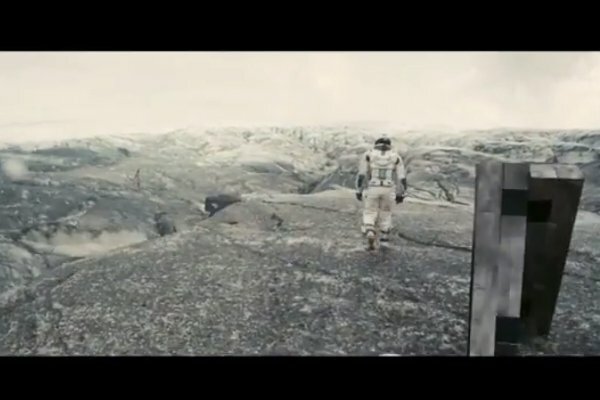 Interstellar is coming to our world, but won't necessarily end on it, as early as November 5th.